The Ludlow Typograph (Ludlow) was perfected in 1909 by William A. Reade. It is a linecasting machine that utilizes individual hand-set matrices (mats). The mats are assembled in a purpose built stick that is then locked into the top of the machine. When the casting lever is tripped, a mould (most commonly six or twelve point, though specials were available) is positioned under the mats, the pot/pump/plunger assembly moves into place under the mould and the line is cast, trimmed and delivered to the front of the machine. It can cast any point size from 6 to 240. Being hand set, word, and even letter spacing can be easily adjusted. Type of different point sizes, of different styles (Roman and italic), and even different families, can be mixed on one line. Type can be set on a variable baseline. 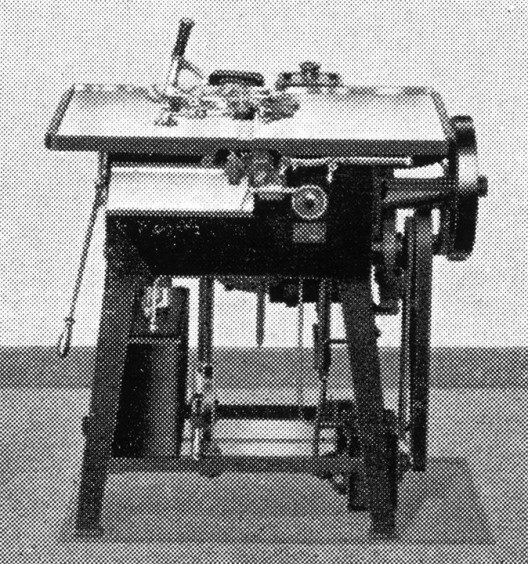 The Ludlow was an ideal companion machine to the other linecasters in a newspaper setting, being used to set captions and headlines. 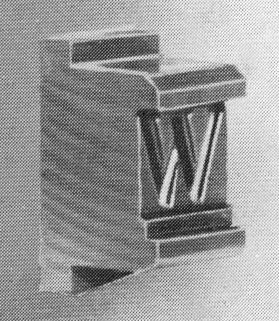 Its compactness, flexibility and relative simplicity also made it an attractive machine in job shops as a primary source of type. Further, small shops could avoid running out of sorts. A broad range of typefaces were available for the Ludlow. Many, not surprisingly, were copies of faces originally cut by other companies, but the Ludlow became popular enough that they designed their own faces as well. R. Hunter Middleton, Ludlow’s Director of Typographic Design, was the second most prolific metal type designer of the 20th century, exceeded only by Morris Fuller Benton of the American Type Founders Company. Through the use of angled matrices and sticks to hold them, italic faces avoided problems with kerning that were common with foundry type and other casting machines and often have more pleasing letterforms and spacing. Hackleman, Charles W., Commercial Engraving and Printing. Indianapolis: Commercial Engraving Publishing Company, 1924. 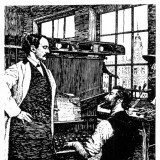 Huss, Richard E., The Development of Printers’ Mechanical Typesetting Methods 1822-1925. Charlottesville: The University Press of Virginia, 1973. Legros, Lucien Alphonse, and John Cameron Grant, Typographical Printing-Surfaces The Technology and Mechanism of their Production. London: Longmans, Green, and Co., 1916. Ludlow Typograph Company, Confidential Information forLudlow Salesmen. Chicago: Ludlow Typograph Company, 1962. McGrew, Mac, American Metal Typefaces of the Twentieth Century. New Castle: Oak Knoll Books, 1993.